The Observatory Museum to re-open soon! You are at:Home»ARTS & LIFE»The Observatory Museum to re-open soon! Finally, after a long period of closure due to renovations, the Observatory Museum is set to re-open again. The restoration project focused on a complete restoration of the building in its entirety including the roof, fencing, floors and walls. The exterior paint has been changed to the original colours (buttercream and green), the ablution facilities have been renovated and a wheel chair ramp fitted in the paraplegic ablution facility.This has been a successful project and has been completed. The Museum will be reopened to the public again before the Arts Festival this year. 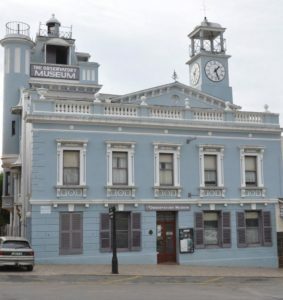 Albany Museum wishes to extend a word of gratitude to the Provincial Department of Sports, Recreation, Arts and Culture (DSRAC) for the funding of a total sum of R2 884 141.73 which made the restoration project possible, and to the Department of Public Works for managing the renovations. Keys have been handed back to the Albany Museum and the mammoth task of putting back the items has started. The whole team of Exhibitions, Communications, Technical Services, Conservator and the Curator are now rolling up their sleeves to ensure that all items are put back in time and in perfect condition for the re-opening of the building which is set to take place in June. 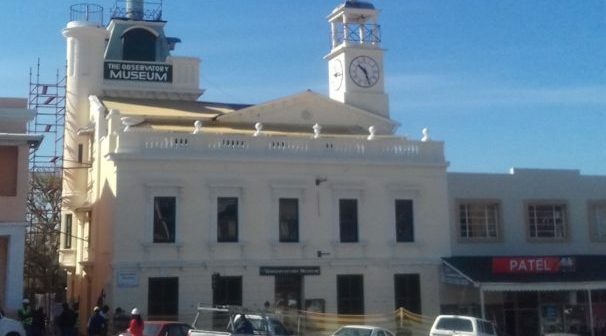 The Observatory Museum which accommodates the only Victorian camera obscura in the Southern Hemisphere was originally a shop and home to the watchmaker and jeweller, Henry Galpin, who lived in Grahamstown between 1850 and 1886. The rooms are filled with antique furniture, bric-a-brac and various scientific surprises. There is also a fascinating meridian room on the top floor where Galpin worked out Grahamstown time, resetting the clock in the turret each day. 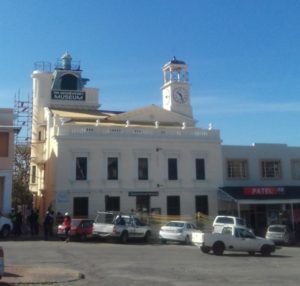 This Museum is extremely popular with tourists and has become the icon of Grahamstown.